Priyanka Chopra is now in a mood to kick start the work with her next Bollywood project. Priyanka Chopra is now in a mood to kick start the work with her next Bollywood project The Sky Is Pink. The actress shared the news of starting the work for her upcoming film on Instagram. 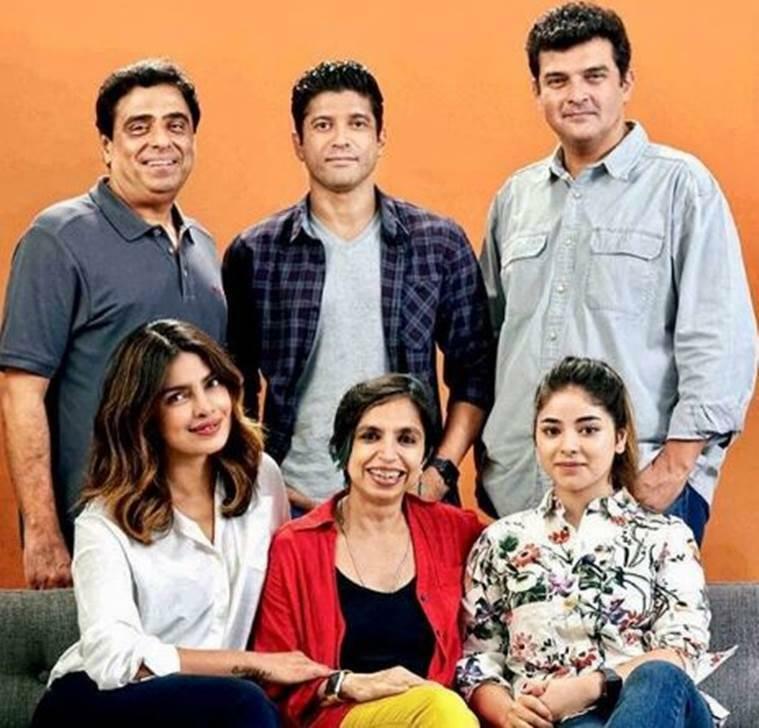 Priyanka was seen with the director Shonali Boose and co-star Farhan Akhtar and Zaira Wasim. The producers Ronnie Screwvala and Siddharth Roy Kapur were also seen posing with her. Priyanka Chopra has been in the news headlines from past few months for her relationship with Nick Jonas and the recent one is because of her sudden exit from Salman starrer film Bharat. Talking about her upcoming film, ‘The Sky is Pink’ is about an Aisha Choudhary who is suffering with pulmonary fibrosis at the age of 13 and she opts to become a motivational speaker after she gets to know about the disease. 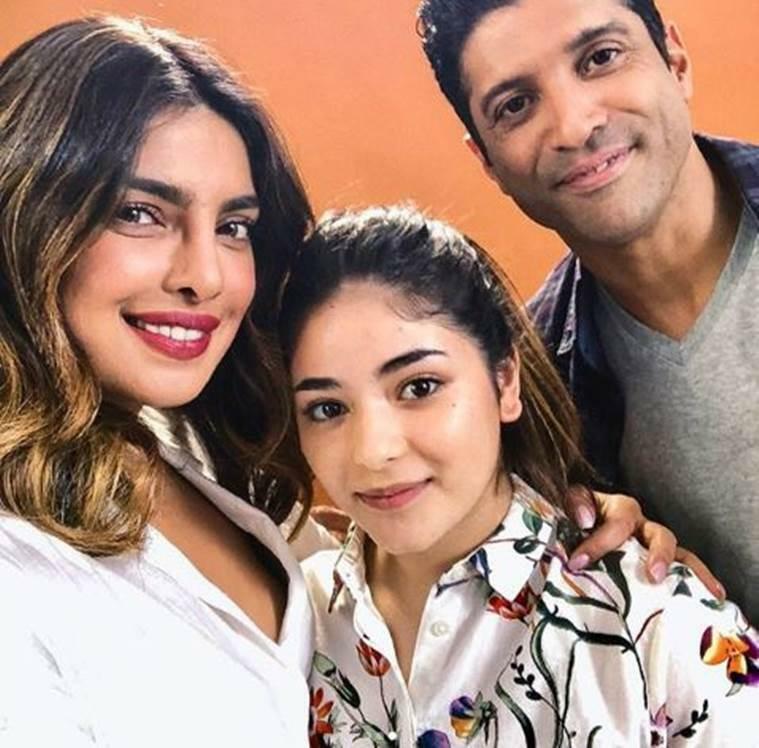 Dangal actress, Zaira Wasim will be playing the role of Aisha, Priyanka Chopra and Farhan Akhtar will play her parents in the movie.